Sepp Blatter, the controversial head of FIFA, has been re-elected as president of the world soccer governing body. Despite years of condemnation, negative headlines, and the arrests of seven top FIFA officials on corruption charges, Blatter has ignored widespread calls for his resignation this week. Instead, he received endorsement from 133 of 209 FIFA member delegates at the organization’s annual general meeting in Zurich and will continue to preside over world football for his fifth tenure. His challenger, Prince Ali Bin Al-Hussein of Jordan, withdrew after the first round of voting. 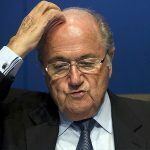 Blatter denied responsibility for last weeks arrests, the result of a 47-count indictment filed in federal court in Brooklyn against 14 people, accused, variously, of racketeering, wire fraud and money laundering conspiracy. FIFA officials are accused of accepting bribes worth over $150 million in return for offering lucrative World Cup media and marketing rights to various companies and national football associations. 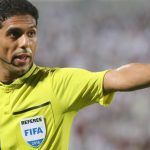 Under investigation are the controversial decisions to award forthcoming World Cups to Russia and Qatar, despite those country’s spotty human rights records and a summer climate in Qatar that makes the hosting of a soccer tournament impractical. Also under scrutiny is the bidding for the 2010 World Cup in South Africa. Could UEFA Boycott World Cup? Michel Platini, head of the European soccer governing body UEFA, said he would not rule out a European boycott of the 2018 World Cup in Russia should Blatter be re-elected. His comments were echoed by the head of the English football association Greg Dyke. “There would be no point pulling England out if everyone else stays in,” Dyke told Sky Sports. “It would have no impact. It would just be forgotten. But if you could pull UEFA out, that might have an impact. 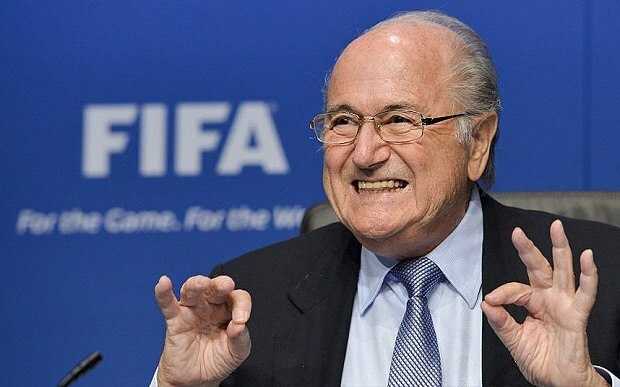 If Blatter gets re-elected, then that should be discussed. Suddenly a partial boycott of the next World Cup has become a very real prospect, and that’s bad news for the bookmakers. The World Cup is the single most bet-upon event in the world, and last years was the most bet-upon event in history. 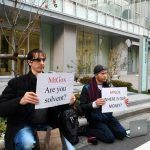 Well over $1 billion was wagered on the regulated markets during the 2014 World Cup, and billions more on the unregulated markets across Asia. Even the Vegas sports books reported the biggest handle ever recorded during the month of June, usually the slowest time of the year. However, in the meantime, never the types to miss a trick, the bookies have slashed their odds on the USA (3:1) and England (25:1) taking the hosting responsibilities of the 2018 World Cup off Russia’s hands.